US equity indexes closed moderately mixed, sp +0.2pts at 2496. The two leaders - Trans/R2K, settled higher by 0.7% and 0.3% respectively. 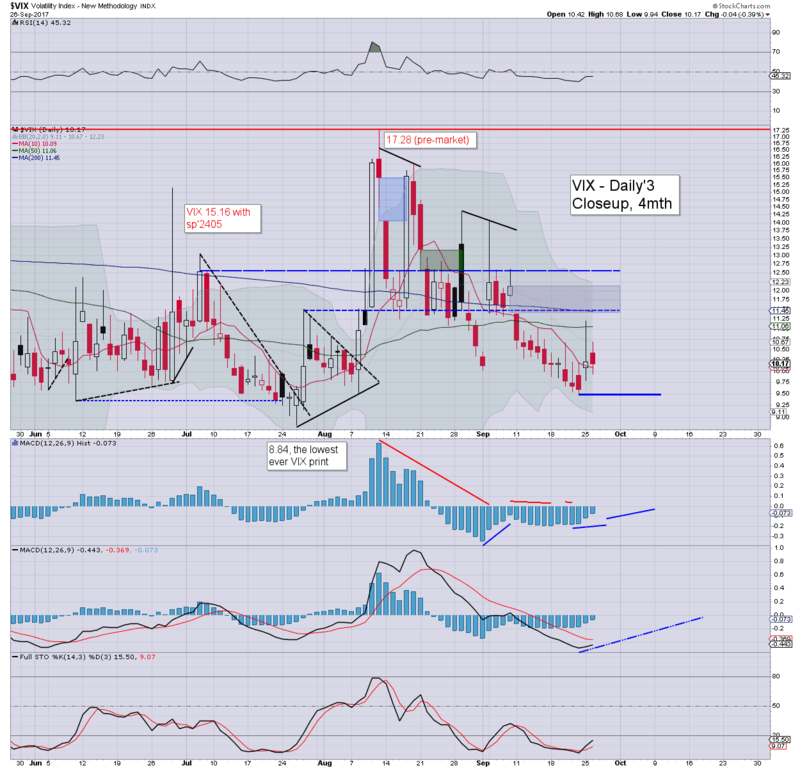 VIX settled -0.4% at 10.17. 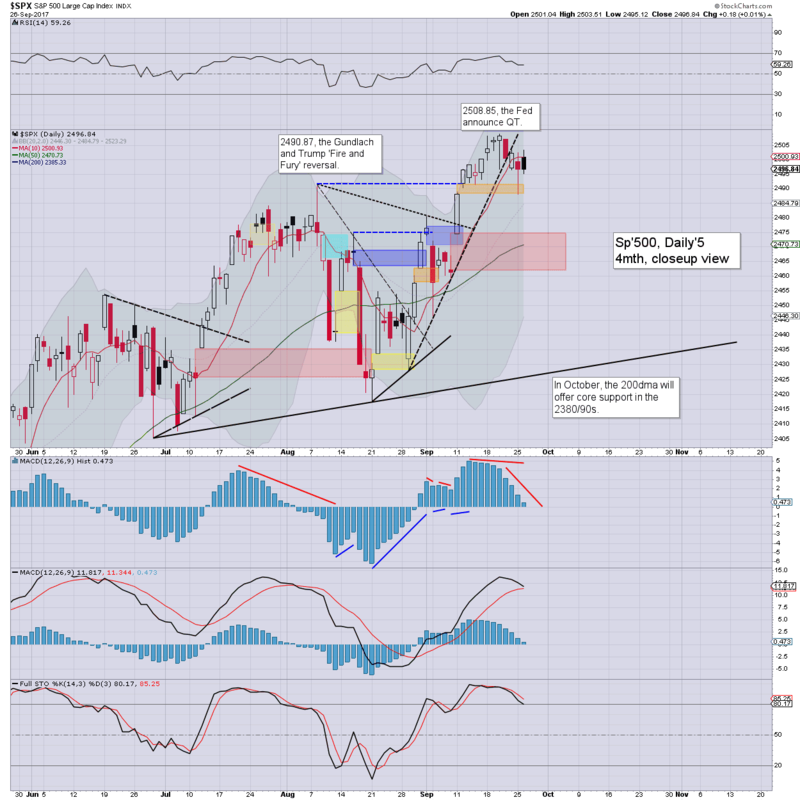 Near term outlook offers the sp'2474/61 gap zone before the weekend. US equities opened a little higher, turned fractionally negative by late morning, and then leaned back upward into the afternoon. The closing hour saw a failed attempt to push upward, with the market leaning on the weaker side. 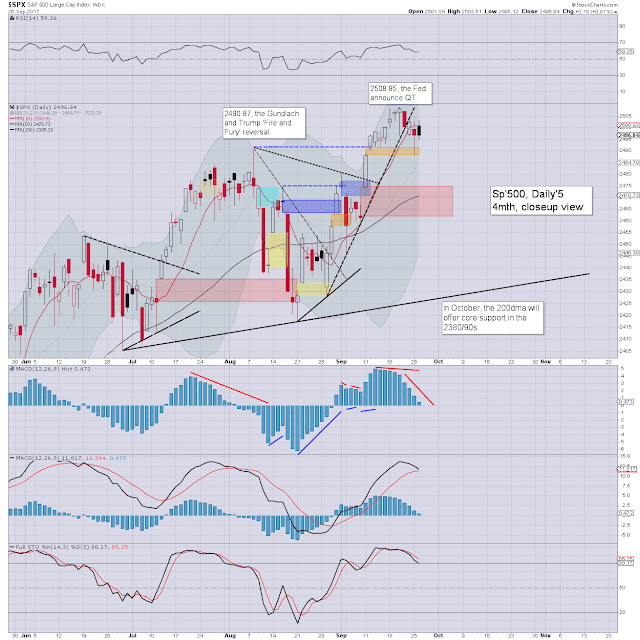 Note the settling black-fail daily candle, its a subtle warning of trouble for Wednesday. Soft target is 2474/61... where the 50dma is lurking. With equities hovering/at historic highs, volatility remains naturally on the very low side, with the VIX settling in the low 10s. 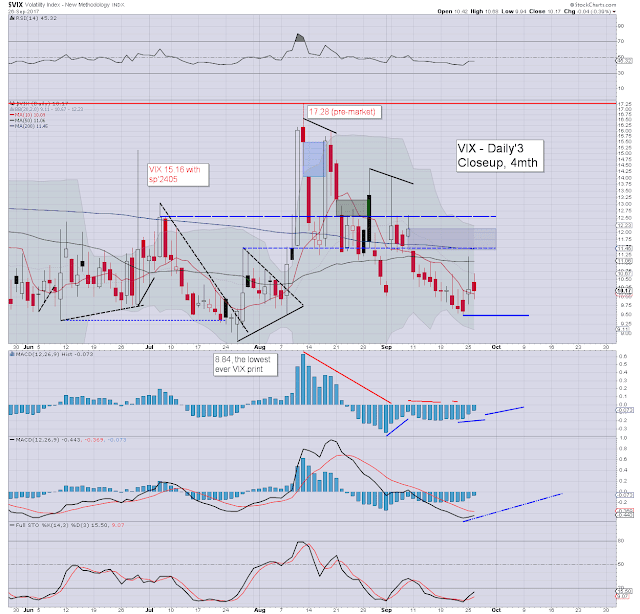 If sp'2474/61, that should equate to VIX 12/13s before the weekend.